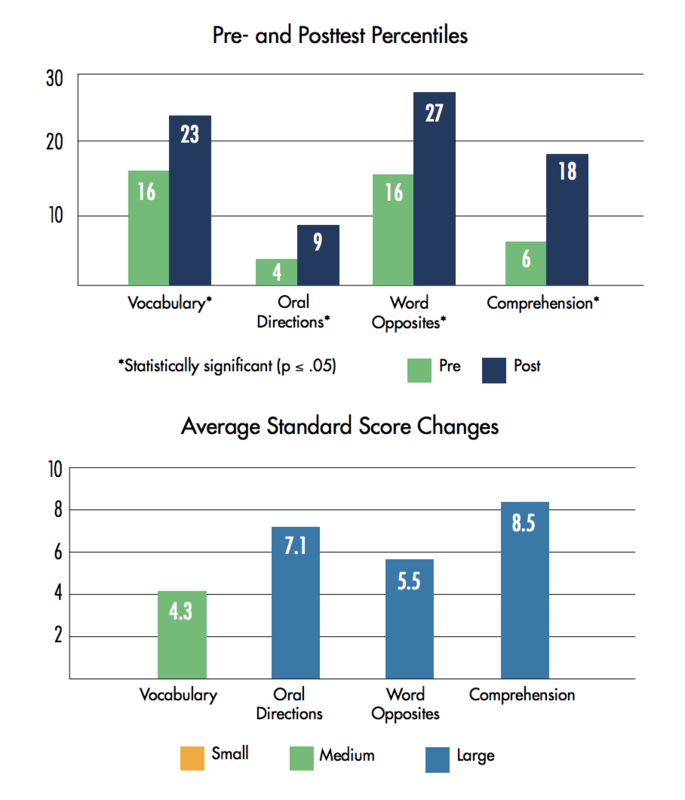 On average, students with Autism Spectrum Disorder who received Visualizing and Verbalizing instruction achieved significant improvements in comprehension. They made large (significant) standard score changes on three of the four measures. Their pre- to posttest results were statistically significant on all measures.